lifetime of pages: July Challenge at Berry71Bleu-Pattern Palooza! 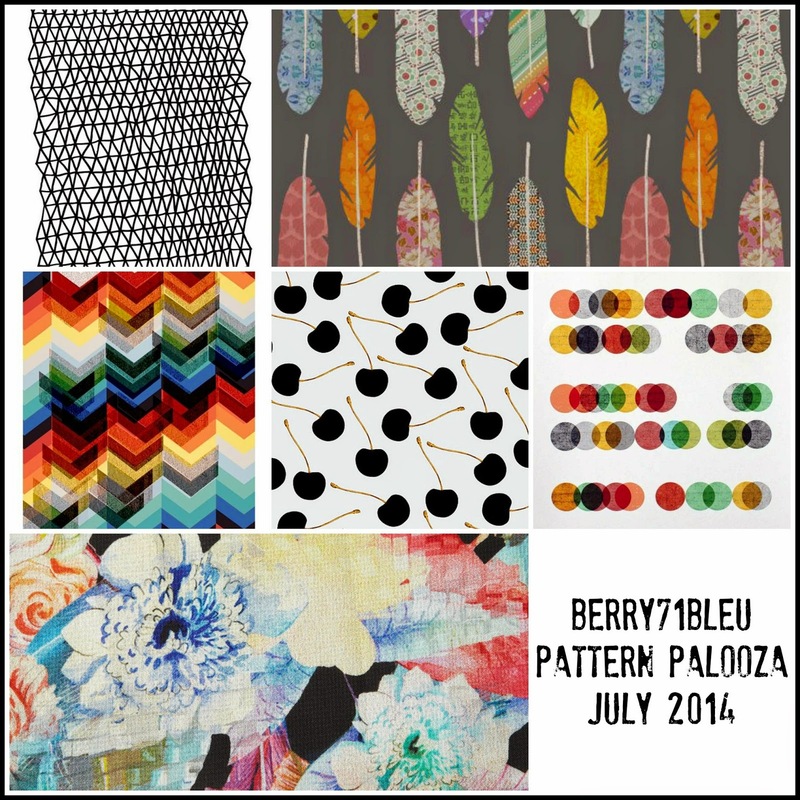 July Challenge at Berry71Bleu-Pattern Palooza! Good Moring! Today to share with you my take on Dana's Pattern Palooza over at Berry71Bleu! Join our July Challenge and show your love for patterns! We all have our favorite prints. Our challenge host Dana created this mood board using images that caught her eye on Pinterest. Whether you prefer stripes or polka dots, flowers or feathers, or something else entirely, just have fun mixing prints on your project. 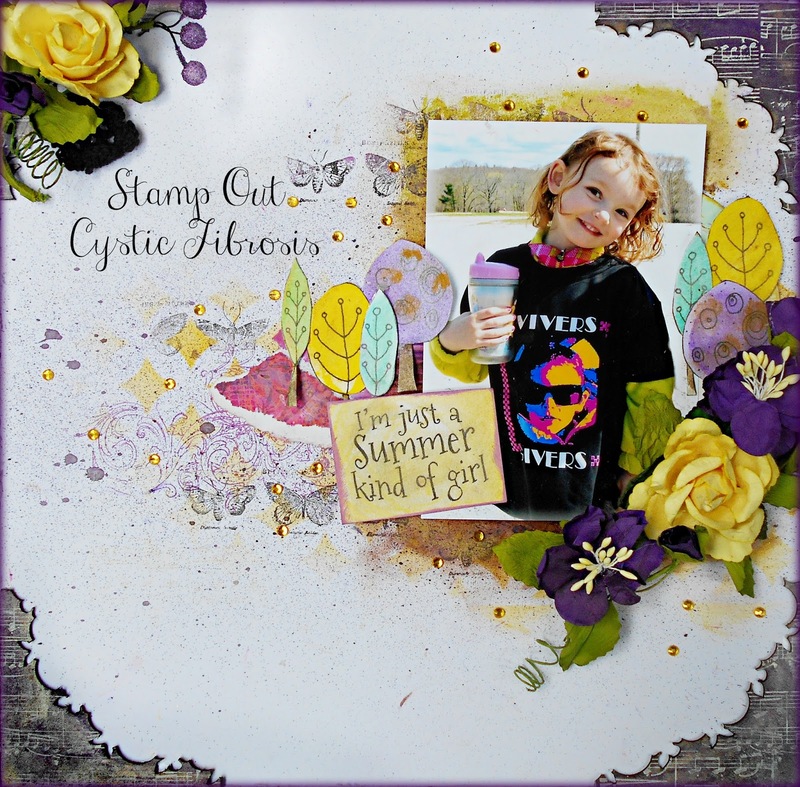 Feel free to incorporate designs from patterned papers, newspaper or magazine images, stamps, stencils, or your own artwork--Just be sure to include at least 3 different patterns on your creation. Please do not feel required to also design with the color palette of the mood board. You are free to do so if you choose, but this challenge is specifically about mixing patterns and does not have a color restriction. This features my sweet neice, Vivien on our annual Great Strides Fundraiser to fight Cystic Fibrosis. 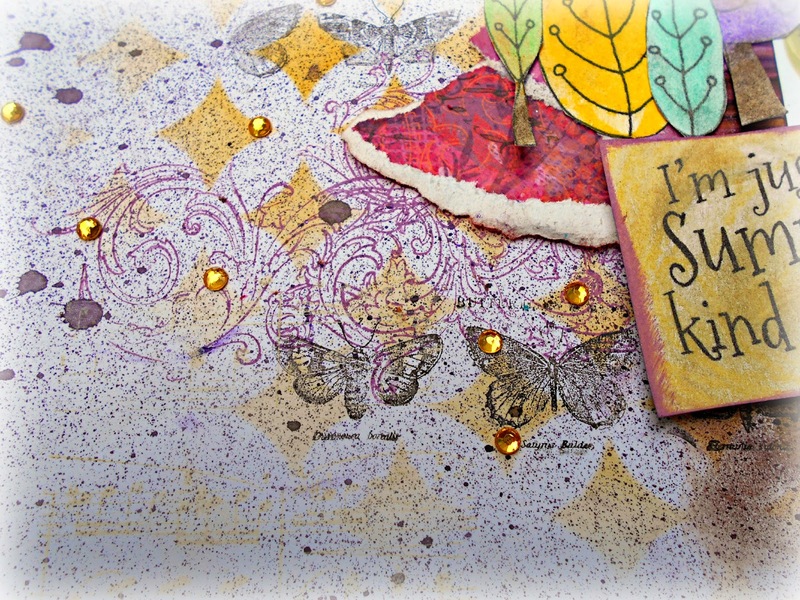 I pulled together patterns from 2 different papers, stamps,stencils,mists and ink. 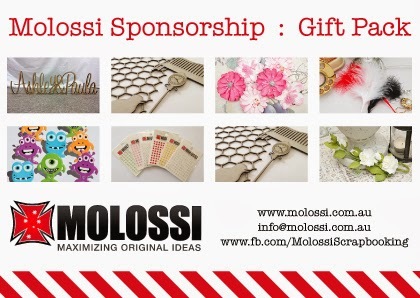 The corner chippie pieces are the lefttover negative pieces from our generous sponsor,Molossi. 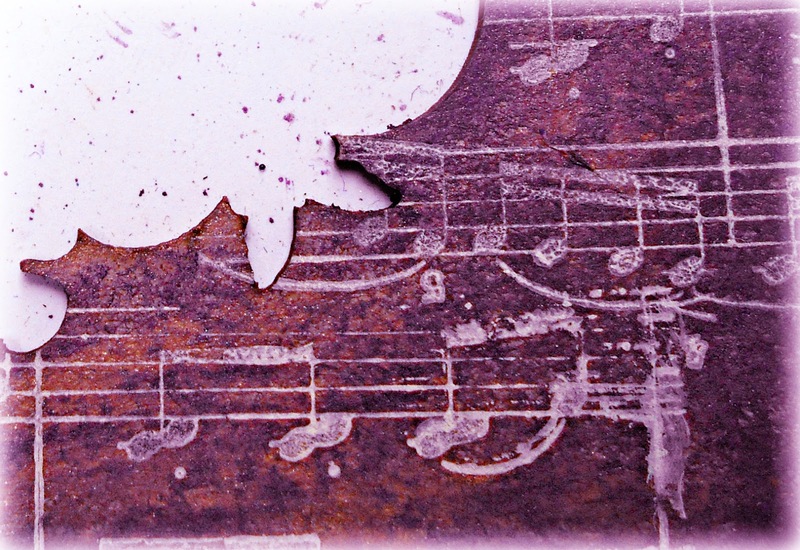 I colored them with gelato and used a rubber musical stamp in white to add another pattern. Also from Molossi are the gold gems you see scattered throughout the page. Here you can see how I layers colors and patterns to get variation but keep with the overall color scheme. 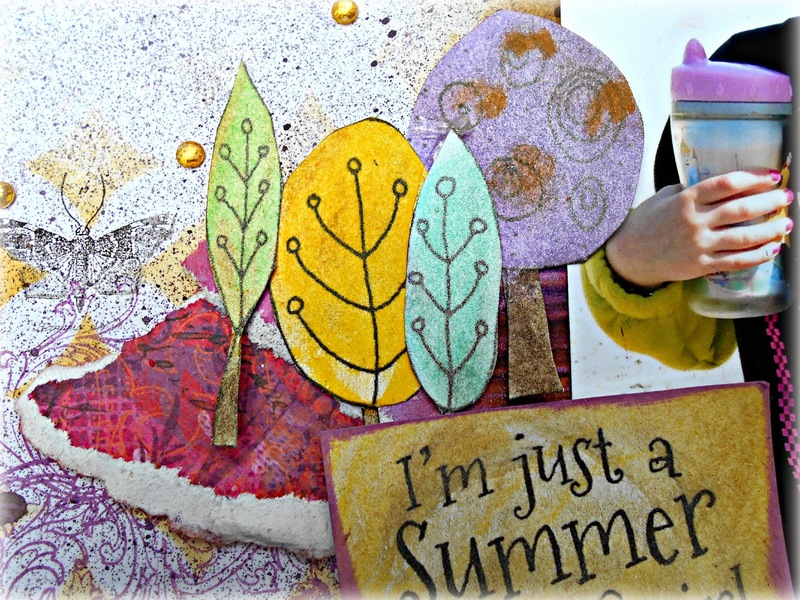 The sweet trees and Summer quote are from our sponsor,Jelly Park digi stamps. I chose to cluster and color mine with gelatos. Jellypark is a digital crafting website with lots of whimsical images drawn by children's illustrator Claire Keay. The images can be used on all your papercraft projects whether digital, hybrid or physical. Great way to scrap that colorful shirt of hers! Great color combo. And I love that CF stamp, how cool is that??? ?